I love mornings that I get to sleep in! Even more, I love that Makenzie can be fed every three hours instead of every four now, and I CAN sleep in. Makenzie had a great day! The boys were home from school and we only had one therapy. Overall it was a quiet day! Watching my all of my kids at home together (when they are not bickering) is so much fun! The other day while Makenzie was getting PT her therapist and I were talking about the family dynamics of having a child with a disability. I was telling her how proud I am of the way my boys care for their sister. We got to talking about all of the things they knew how to do for her and how well they knew what she needs. As all of my children get older they are responsible for more and more in life. Thinking about the love they have for their sister and how they can continue to care for her in the future is something I think about a lot. Right now I am the mom and they are the children. I ask them to play with Makenzie, read to Makenzie, and watch her during times while I do things like the dishes or laundry. 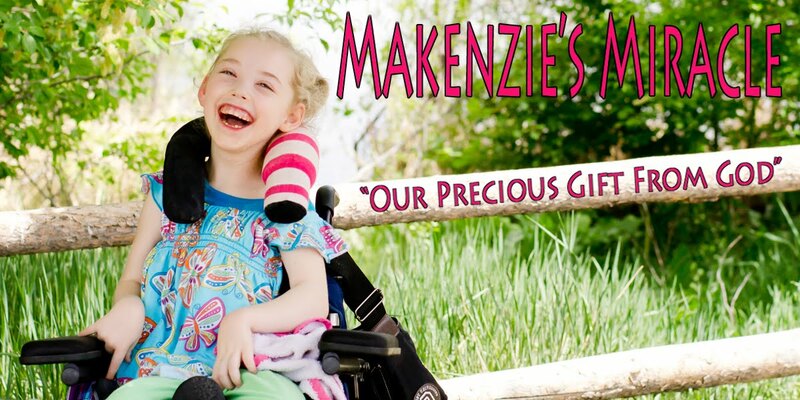 Makenzie's therapist and I talked about the line between realistic and unrealistic expectations when it come to siblings of special needs children. I was telling her that although my kids know how to start and stop her feeding pump, I had never showed them how to prime it or clean it. That is my job. I have asked them to help me get her dressed but never change her diaper. I dose her medicine and give her a bath. However, I feel like as they get older they can and need to learn how to do these things. Not because I don't want to, but because she is their sister and we are a family. Simply put, I think they should know every thing about her care some day. I am not going to around forever! Makenzie's therapist looked at me and said......your boys love Makenzie so much and it is a gift they have been given to care for their sister. Being involved is a privilege. The more I thought about it, I realized how much they have learned about life in the last 4 years. They have learned much more then many learn in their whole lives. What a gift that is. Today as my youngest son read his sister a book I watched from a far. He was so kind and patient. He waited for her to tell him what she wanted to do and then he followed through. They turned pages, lifted flaps, and touched the pictures page after page. They are gifts to each other. Makenzie loves all of her brothers with her whole heart. They enrich her life, they motivate her, they entertain her in ways mommy can't, and they have helped her heal. Makenzie has taught my boys acceptance, unconditional love, God's faithfulness, and the ability to truly think about others needs before their own to name a few. In the future I know my boys will be up to the more complex tasks in Makenzie's care. For today watching them simply play together makes this mommy's heart swell with pride!